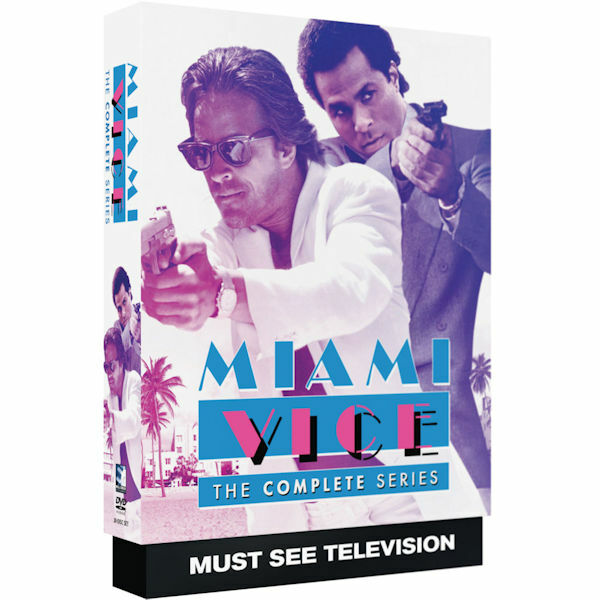 The suave cops, the speedy cars, the cigarette boats, the clothes, the city, the music by Jan Hammer: combined, they made Miami Vice "TV's hottest and hippest cop show" (TIME). The Golden Globe and Emmy®-winning show brought viewers along as detectives Sonny Crockett (Don Johnson) and Ricardo Tubbs (Philip Michael Thomas) battled a never-ending series of criminals, drug dealers, and lowlifes. With Saundra Santiago as Gina Calabrese and Edward James Olmos as Martin Castillo. 112 episodes, 90 hrs, 20 DVDs.